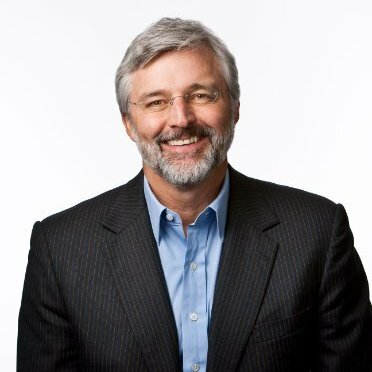 For the ninth consecutive quarter Netsuite’s revenues rose by more than 30%. The growth this time was 35% as shown in the Q2 earnings figures, taking revenues to $177.3 million. They have also named Jim McGeever as the new NetSuite president. The former CFO and COO was Netsuite fifteenth employee. NetSuite CEO Zach Nelson was his normal bullish self and commented “NetSuite’s strong financial results, not just this quarter but over the last several years, validate our belief that to survive, all businesses need to transform their operations with cloud-based business application suites. While NetSuite saw particular strength in our retail, manufacturing and wholesale distribution verticals, what is truly amazing is the breadth of companies transforming their operations and their industries with NetSuite. While the results were in line with expectation Netsuite shares jumped by 2.9% in after hours trading to 95.01. Unfortunately, this still leaves then more than $18 lower than their high recorded in December 2014. In fact Netsuite shares have been fairly static over the last six months and there is more downward pressure in these results. A net loss of $32.3 million (GAAP) for the second quarter was higher than the same period in 2014 ($23.2 million) The Non-GAAP net income was just $1.7 million, $3.1 million lower than the £4.8 million recorded a year ago. All this raises the question as to everything is rosy at Netsuite and investors will be watching carefully to see what the company is planning to do in order to improve the situation. Is the Netsuite bubble about to burst? While Nelson always seems to be bullish about the progress of Netsuite and its incredible growth curve he must address investors concerns. Operating costs are rising quickly, rising from $109.2m to $154.0m in the last year with a significant increase in Sales and administration costs. The latter may be down to one off unlisted costs and one hopes that the next quarter sees a reduction. Additionally the Sales costs may be simply be that the company is investing for further growth. The big danger is of over extending and it may just be that the cost of each new customer is increasing. Unfortunately these details are not available nor have Nelson or Netsuite chosen to talk about them. That Intaact won a single company from Netsuite is not a concern, what will be a concern is if this single drop becomes a stream. At some point in the future the growth curve will slow and that this is when the real test for Nelson will happen. Once most companies are using cloud based solutions the market is likely to get tougher, with a higher cost of acquisition and greater demands from existing customers. Shareholders may be disappointed if by the end of the financial year Netsuite has not increased its share price significantly or delivered a dividend. Previous articleIntacct shows Netsuite exit. Next articleAre car manufacturers being disingenuous?